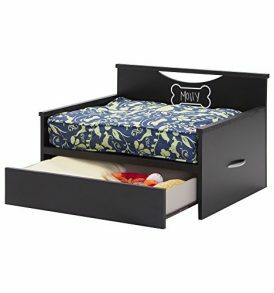 Give your dog the dog house of their dreams. 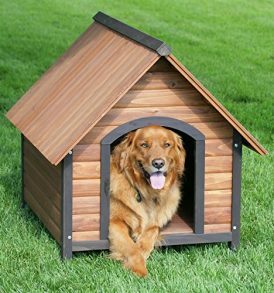 The Advantek Ranch House Dog House is part of the GoneGreen series of dog houses using lumber that is grown in government-controlled sustainable forests. 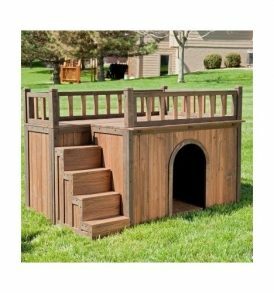 The attractive design and extremely spacious layout makes the Advantek Ranch House Dog House perfect for large size dogs. 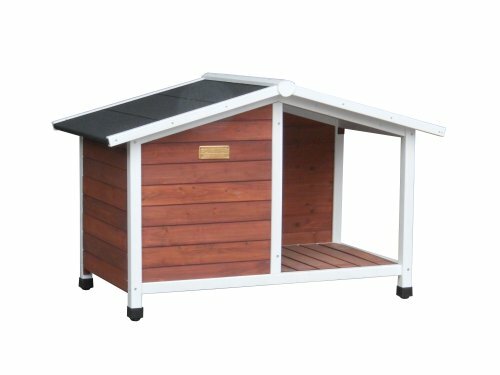 This dog house naturally insulated fir to ensure your dog is comfortable in any climate. The wood panels are built using strong yet lightweight fir; this fashionable lumber is ideal for outdoor structures because it naturally repels insects and resists wear and tear from the elements. Natural weatherproofing makes fir virtually impervious to rot. 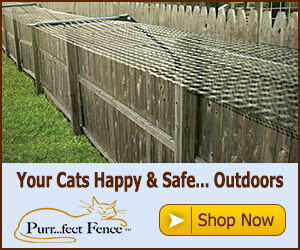 The wood is finished with non-toxic, SGS-approved wood preservatives. The hardware is galvanized to prevent rust. 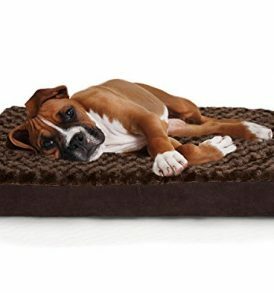 The non-toxic, waterproof asphalt roof insulates the entire dog house, retaining heat in winter and cool air in summer.